Your energy source and communication preference are key! I hate networking but I want more people to get to know my work, what should I do? If you are a job seeker, entrepreneur or employee of an organisation and you want people to get to know you and your business, you have to get out there. With ‘there’ I mean: events, social media or cafes. 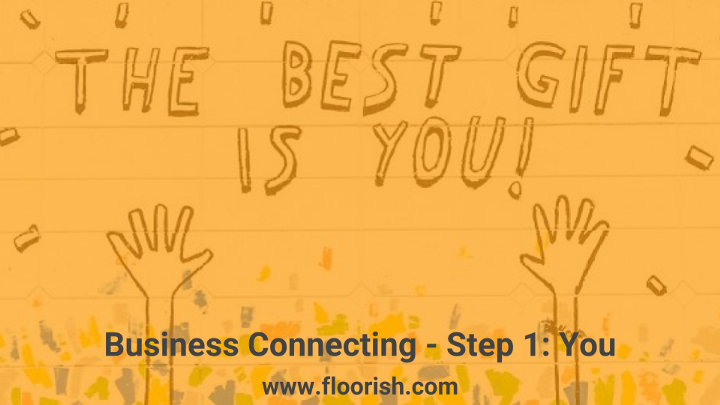 The reason that I am saying this is that the person who can tell the story about you or your business the best is you! The question you have to ask yourself is where and how you want to share your story. What is your way? There is not the way, only your preferred way. Most important is that you do what feels good for you. If you love going to events and give a talk, go there! If you like sitting at home behind your computer and write blogs, sit there! If you enjoy chatting with one person with a good coffee, go to a cafe! Only at times, you will have to do networking activities that are out of your comfort zone. Be sure to make the rest easy for you. Do things that come naturally to you, because otherwise, it will be very hard to continue. I will share a little bit about my own preferences and ways of networking. When I came to Berlin two years ago I started to attend networking events to get to know new people. Online (LinkedIn, Meetup etc.) I looked for people who could be interesting to meet, contacted them and went on a lot of coffee dates. After about a year I came up with the idea to start organising networking events for Dutch people in Berlin. As you can read between the lines, I get energy from being around people (extrovert energy). When I meet new people I always start with the personal connection. Also when it’s a person I meet work-related. I simply want to know the person I am working with or for. If I hear too many numbers and details for a too long time I tend to get bored and impatient. Online I have always been interested in the possibilities to connect with people, all around the world. I made my first website when I got the feeling I wanted to share my thoughts about the new ways of working (www.uitjehokje.nl was the name, translated into English ‘out of the box’). In the beginning, I just shared what I was doing, who I was meeting and what inspired me. After my trip to India, and being asked to write blogs for an Indian e-magazine, I started to create my own blogs. This entry was posted in Business Connecting and tagged business, Business Connecting, networking. Bookmark the permalink.